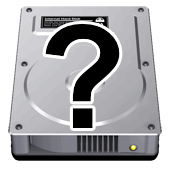 Replace "oldName" with the name of the hard drive partition that you want to rename (keep the quotation marks). If you haven't named your hard drives, now's a good time to do it. You can rename hard drives in Windows by right-clicking on a hard drive in Windows Explorer (My Computer) and going to "Properties". Next, replace "newName" with the replacement name for your hard drive partition (no quotation marks this time). 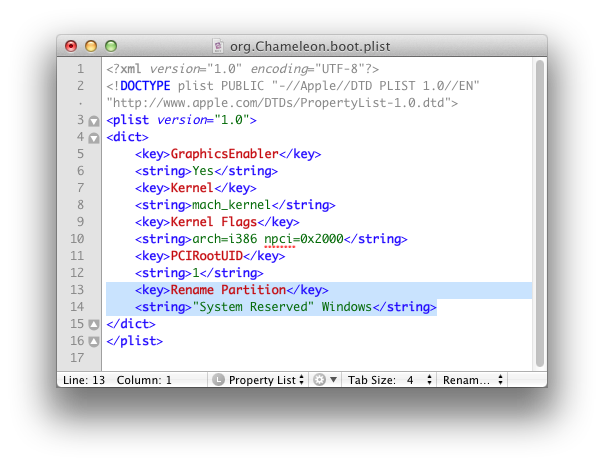 This is what my copy of org.Chameleon.boot.plist looks like when I rename my "System Reserved" partition as "Windows". Rename Partition also supposedly works with hide drive numbering, e.g. hd(0,1) hd(0,2). However, I've found this to be extremely unreliable, so I recommend using hard drive names instead.